A womanizing business man and an aspiring writer wake up in the honeymoon suite in Las Vegas and realize that they may have made one of the biggest mistakes of their lives. When they talk of a divorce, Harry and Delaney are quick to realize how beneficial this marriage is to their careers, and eventually come to a mutual agreement. But will they be able to keep it strictly professional? "Perspective has a way of showing you things you never imagined were possible." "Trust me, I'm not the kind of fun you're after. Go find some other toys to play with" I tell him, trying not to give away the knotting of my stomach in my voice as I try to step around him to walk past him. His hand catches my arm, halting me and he steps behind me, his firm chest pressing against my back as he leans his face down to rest his warm lips near my ear. "Actually, I think it's exactly what I'm after" he murmurs lowly, his breath fanning across my skin making me bite down on the inside of my cheek "And I think that's exactly what you want to find out, just how well I play with my toys"
"I'm just a girl, standing in front of a boy, asking him to love her"
"If it feels so right, how can it be wrong?" 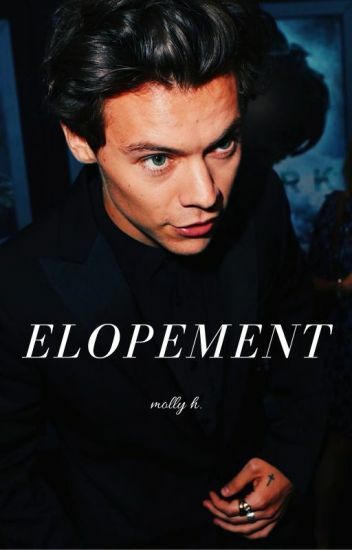 Sometimes two souls meet, the timing is wrong, the circumstances are horrible, the cards aren't in their favour but fate cares about none of those things, it has a funny way of colliding what you didn't expect right into you and that's exactly what happened when Joey met Harry. All Harry Styles ever wanted to do was play hockey. It was his passion in life, and the only thing he ever really felt he was good at. Without it, he was lost. After a tragic series of events leaves him feeling angry and unsure of his future, he knows he is falling into a pattern of bad behavior. His daily fight to escape the past and move on with his life is weighing on him, so when he is given one final shot at playing college hockey he knows it's his only option. Eager to get the hell out of England, Harry earns a spot playing for the University of Michigan and takes his opportunity at a fresh start. However, he soon discovers that his new start is full of it's own challenges and maybe running from his past wasn't as easy as he thought. He is thrown into the middle of a controversy that helps him realize that maybe he can make things right in a way he never could before. **Absolutely no reposting or translating of this story. NO EXCEPTIONS. He couldn't stop himself from staring at the two most beautiful things in front of him... Luna and the moon behind her. "i'd never seen someone sign in front of me. but, i don't know if i was more focused on the language, or the man using it." cassidy byrne is lucky. it's luck that her brother is "dating" the dean's daughter at college. it's luck that she was accepted past the admission deadline. it's luck that she managed to get into a dorm, at all. but is it luck that her roommate's interpreter is harry styles? to cassidy, it seems anything but. Caught in a Lie ~ h.s. A book about a modern day princess, a green-eyed financial analyst, and so, so many lies. He was a lawyer that always won. She was a loyal wife who always supported him. They were the couple that everyone aspired to be, on the outside. Their relationship was hanging on by a thread. Would they be strong enough to mend their broken bond? Aubrey, a 19 year old teenager has just finished her first year in University, it's now mid-May, visiting her childhood best friend in London, Eleanor. Only having two friends who don't live in the same country, Natalie, another friend of Aubrey's passes through her life to assist her with her life obstacle. Harry, a 21 year old studying in University in London, knowing Eleanor also as childhood best friends. Little did Harry know that he would finally meet the love of his life, or shall we say re-meet. Will the problems they have together make their relationship be strong or will they drift apart? "The moon is smiling at you." I couldn't help but smile widely at his words. He was right. The pearly moon was smiling, the stars were twinkling, and his love to me was infinitely sparkling. I've put my heart and soul in writing this story, so I hope you enjoy it, as much as I enjoyed writing it!